API Abamectin is a mixture of avermectins containing more than 80% avermectin B1a and less than 20% avermectin B1b. These two components, B1a and B1b have very similar biological and toxicological properties. 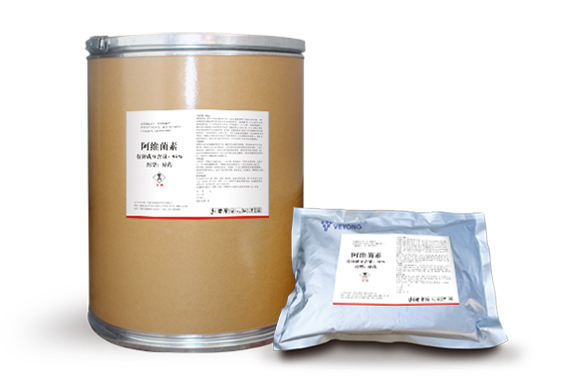 The avermectin are insecticidal and antihelmintic compounds derived from various laboratory broths fermented by the soil bacterium Streptomyces avermitilis. Abamectin powder is a natural fermentation product of this bacterium. Our company is speciallized in producing API for many years, and except abamectin ,we also have Ivermectin, Eprinomectin, Albendazole, Florfenicol, Vitamin and many others .So you could contact us at any time if there is any questions and needs! Looking for ideal API Abamectin Powder Manufacturer & supplier ? We have a wide selection at great prices to help you get creative. All the Veterinary Raw Material Abamectin are quality guaranteed. We are China Origin Factory of Abamectin for Animal. If you have any question, please feel free to contact us.